When Insomniac Games first unveiled Overstrike at E3 2011, its CG trailer showed a lot of potential. The campy humor and exaggerated action seemed decidedly Insomniac-esque and certainly piqued my interest at the time. 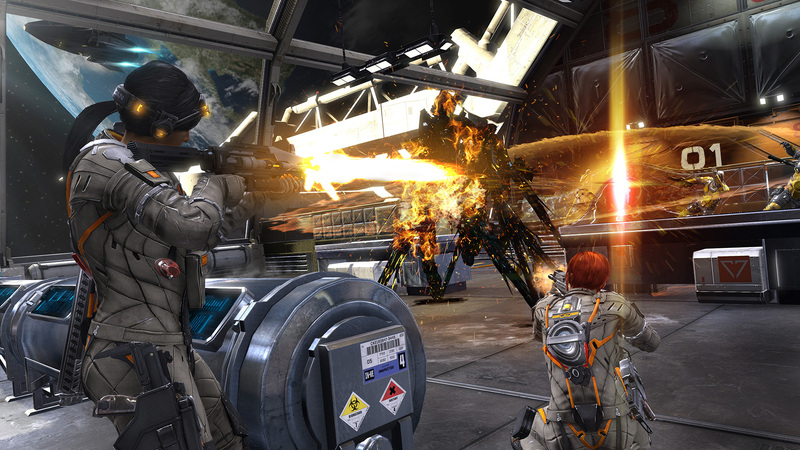 Over the course of production, its creators took the game in a slightly more mature direction — a decision which was met with some degree of backlash. The end result of this evolution in design, Fuse, is a highly-polished, if somewhat derivative, third-person shooter that takes itself more seriously than Overstrike probably ever did while still retaining some of the trademark charm and humor originally hinted at. Fuse puts players in control of Overstrike 9, an elite, four-person squad of hired mercenaries — the kind of operatives called in to quell and cover up top-secret situations gone awry. The plot tasks the bunch with tracking down and securing the titular “Fuse”, a highly-volatile — and easily weaponized — energy source of alien origin. Over the course of six relatively lengthy missions set in various exotic locales, it’s Overstrike 9’s job to prevent the bad guys from using this stolen energy to bring about the Apocalypse. There’s a twist and a turn here or there, but it’s pretty standard sci-fi fare otherwise: paramilitary corporation steals advanced weapons tech, threatens world with it. Storyline isn’t the only aspect of the game that left me with a familiar feeling. Anyone who’s played first- and third-person shooters in the past few years will feel at home with the snap-to-cover system, skill trees, and even the way that squad members’ unique abilities complement each other. These systems are all very well-implemented, but the most novel feature is arguably the Fuse-powered Xenotech weaponry. Each character wields their own unique weapon, which grows more powerful over the course of the game as you level up. They’re so effective and fun to use that I often felt like the other “regular” weapons were just there as backup for when my special weapon ran out of ammo — a feeling further solidified by the fact that using Xenotech weapons earns XP at a higher rate than other weapons. More so than the story, the leveling system is what got its hooks in me and drove me to keep pushing forward. The on-screen drip-feed of XP that comes from every kill and the promise of new skills and improvements go a long way in terms of player motivation. After gaining your character’s unique skill, most of the upgrades center around increasing the effectiveness of weapons and abilities. As you flesh out the nodes along the skill tree, the squad begins to feel more and more powerful, setting off chain reactions during firefights and generally devastating every low-level grunt in its path. Progress and unlocks carry over across all of Fuse’s game modes, so I always felt like I was making headway in terms of character building, regardless of what I was doing. 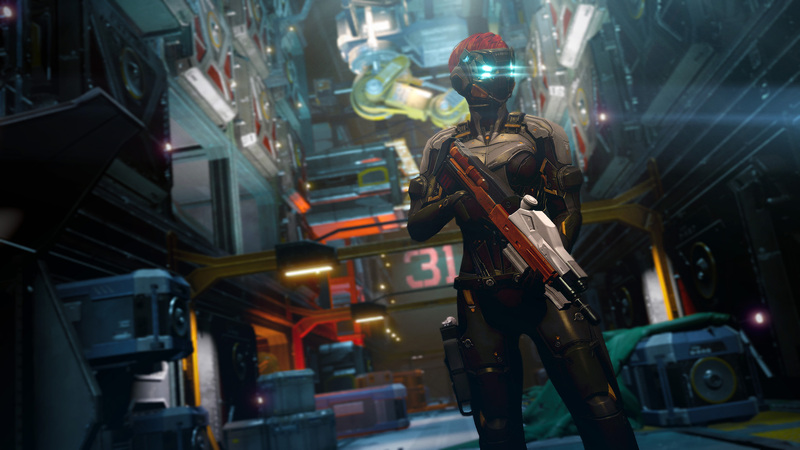 To Insomniac’s credit, playing with pretty much any combination of human and AI-controlled squadmates is possible, including both split-screen and drop-in/drop-out co-op support. Each of your four squad members have their own individual XP meter and skill tree, but the “LEAP” system allows you to switch to any character on the fly, allowing you to tap into their specific abilities or to simply take control of another teammate when you get low on ammo. It’s a simple, but welcomed touch that helps to introduce a bit of variety and add even more flexibility to how you can choose to play. The squadmate AI does a surprisingly good job, both of reviving you when you’ve been downed and of making effective use of their own arsenal. While playing solo, I rarely felt like I was having a subpar experience in the absence of human partners. 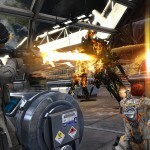 Firefights are intense and follow a healthy difficulty curve as the campaign unfolds. Cover is critical, as is making use of the various squad members’ abilities. For instance, Dalton can deploy a shield on command to provide ad hoc cover, while Izzy can toss an area of effect healing beacon. Surviving some of the hairier firefights requires that your team work together to make diligent and strategic use of these abilities. While the settings from mission to mission are varied, the enemy designs are less so. I could probably count the various troop and mech types on two hands, but they introduce enough different attack patterns and enemy combinations that things don’t end up feeling too stale. 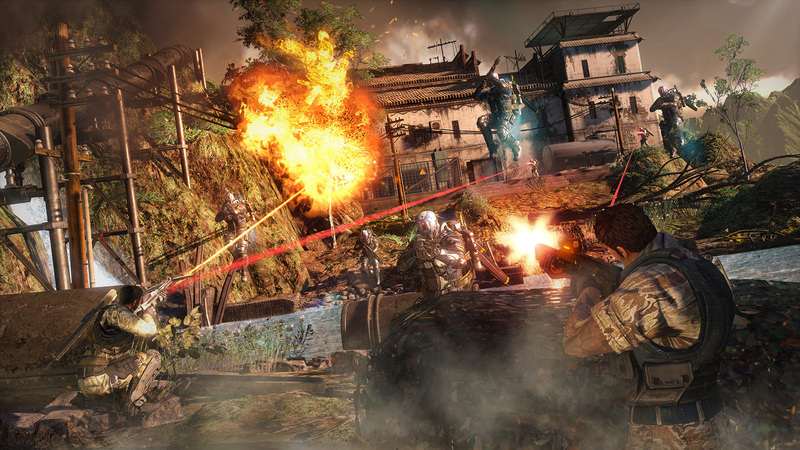 Aside from the approximately 9 or 10-hour long campaign, there’s also a wave-based, “Horde”-style “Echelon” mode, where Fuse Credits can be earned more rapidly. 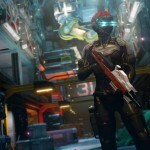 These credits can then be spent on cosmetic character and gun skins, as well as various team-wide augments that provide accelerated XP gains and the like. Fuse turns out to be a more apt title for the game than Overstrike for two reasons: because the four squad members’ abilities coalesce so well together, but also because the bulk of the game is a fusion of mechanics from popular games that came before it. 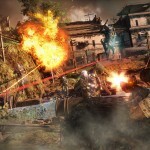 It’s a good time while it lasts, just don’t go into it expecting too much more than a successfully executed mashup of elements that have made other shooters successful before. 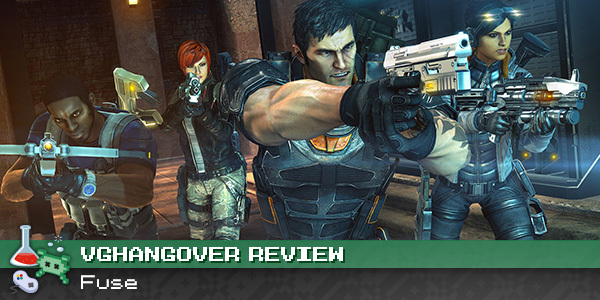 This review is based on a retail copy of Fuse for the PS3, provided to VGH by the publisher.